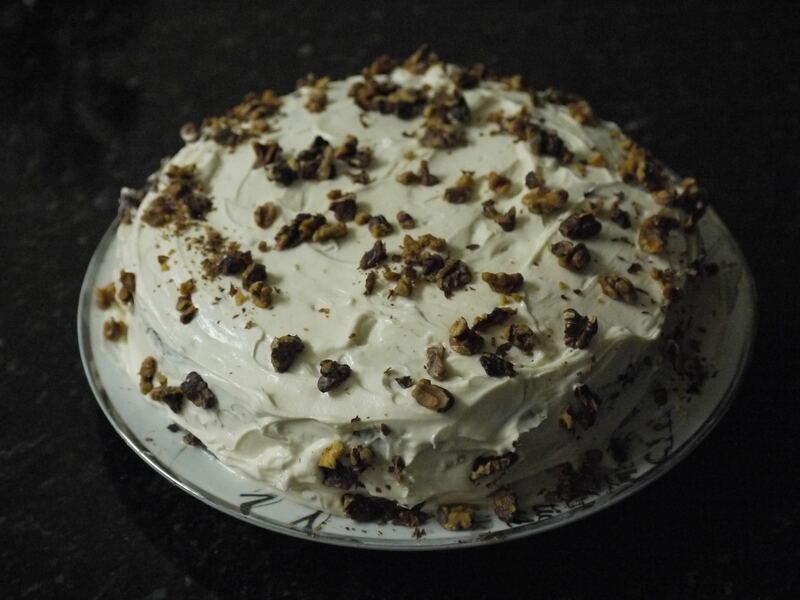 Para endulzar un poco la semana os traigo la famosa receta de mi madre de tarta de zanahoria con cobertura de queso crema decorado con nueces. 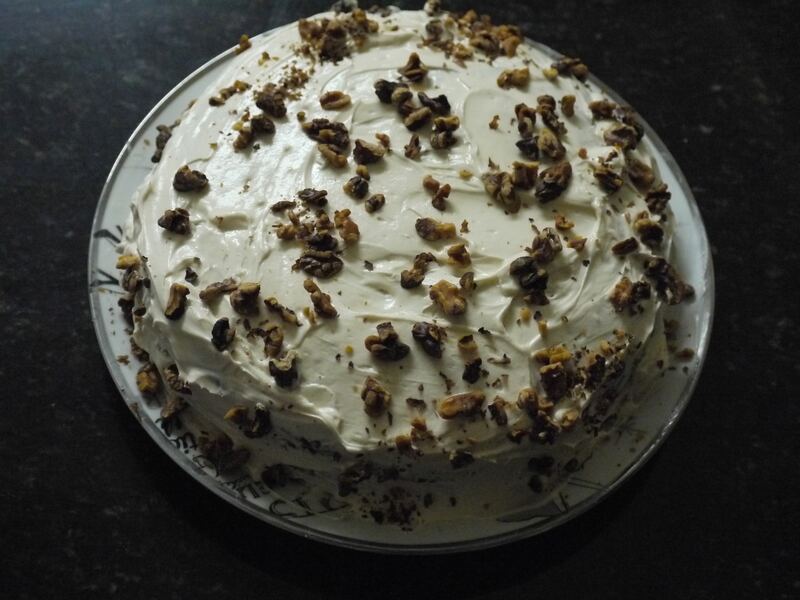 To sweeten this week a little bit I would like to share with all of you the carrot’s pie recipes cover with cream cheese and pecans from my mother cuisine…..
Un pastel delicioso tanto para los pequeños de casa como para ofrecerle a vuestros invitados en alguna celebración. 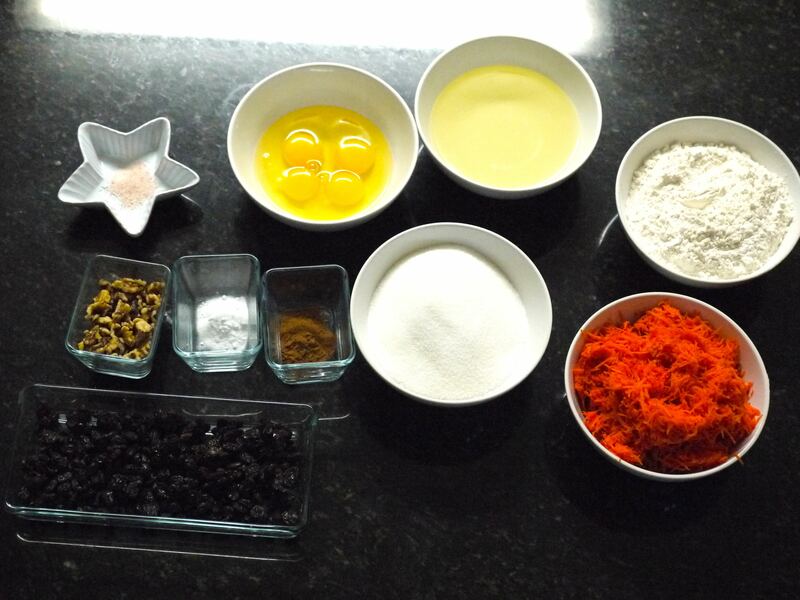 It’s a delicious pie for the whole family, for kids or even for your guest in an special celebration as well. A nosotros en casa nos fascina al igual que al peque, aunque os tengo que reconocer que no solemos hacerlo muy a menudo por la cantidad de azúcar que lleva ya que no nos gusta incluir en nuestra dieta diaria este ingrediente, pero para un evento en especial o simplemente para llevarlo como postre a una actividad es una magnifica opción, deliciosa y fácil de hacer y sorprenderéis a vuestros invitados…..
1/2 taza de nuez picada tostadas previamente en el horno/ 1/2 cup Pecans previously roasted in the oven. 1/2 taza de uvas pasas/ 1/2 cups of Raisins. Engrasa y enharina el molde. Cernir la harina. 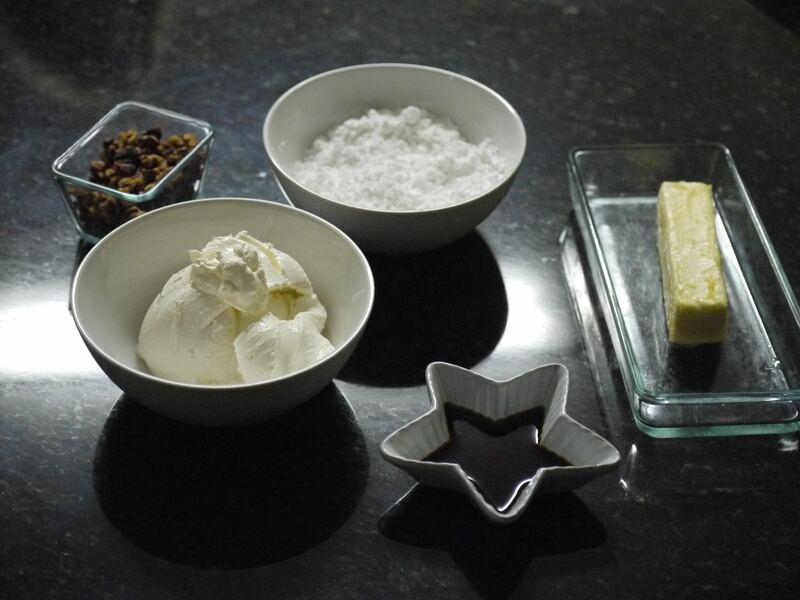 Agregar la harina previamente cernida, el azucar, el bicarbonato, la canela y la sal a la licuadora, sin dejar de batir, añadimos el aceite poco a poco hasta que estén bien mezclado los ingredientes. Agregamos los huevos uno a uno hasta integrar, agregar la zanahoria rallada y batimos 5 minutos mas. Oil and flour the pans. Sieve the flour before start. 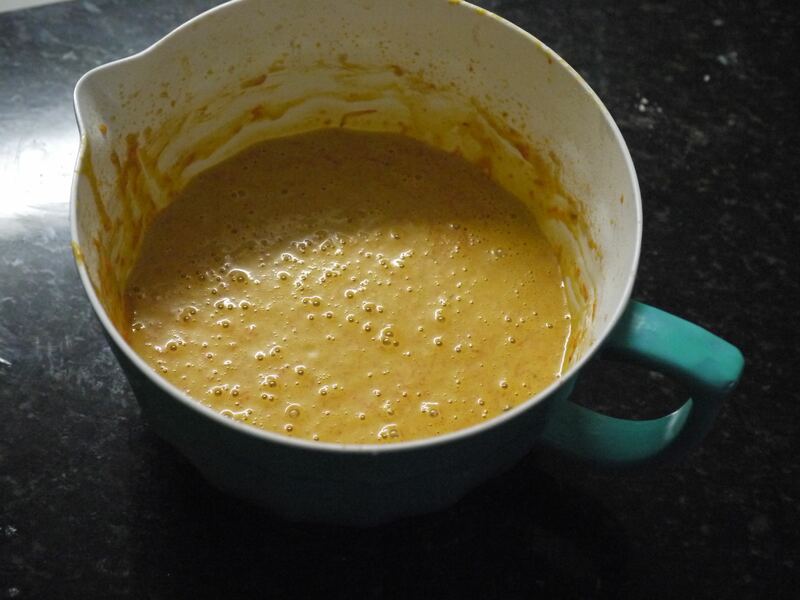 Add in a bowl the sieved flour, sugar, baking powder, cinnamon and salt and blend all the ingredients together, continue blending adding little by little the vegetable oil until everything is well mixed. 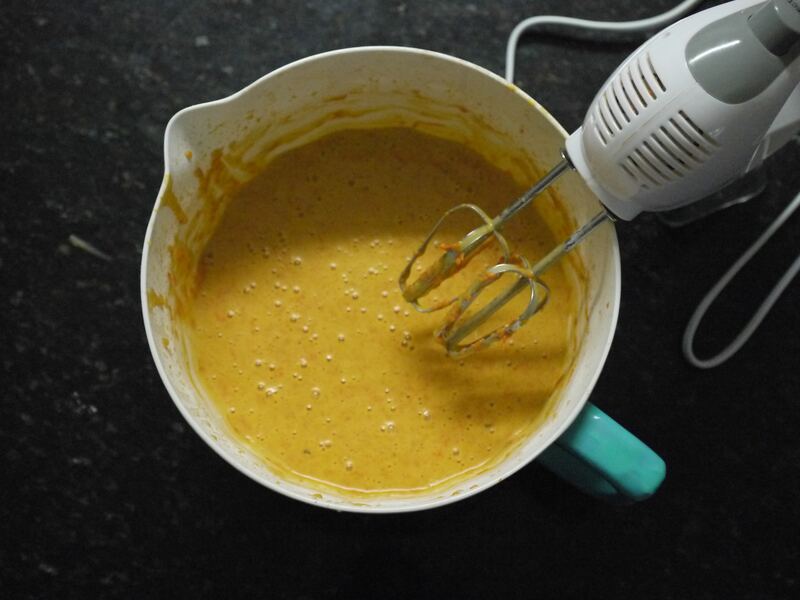 Then add the eggs one by one till the ingredients are totally integrated, add the grated carrots and blend for 5 additional minutes. Añadimos las nueces y batimos ligeramente para que no se desintegren totalmente las mismas. Add pecans and blend again lightly in order to not disintegrate them. 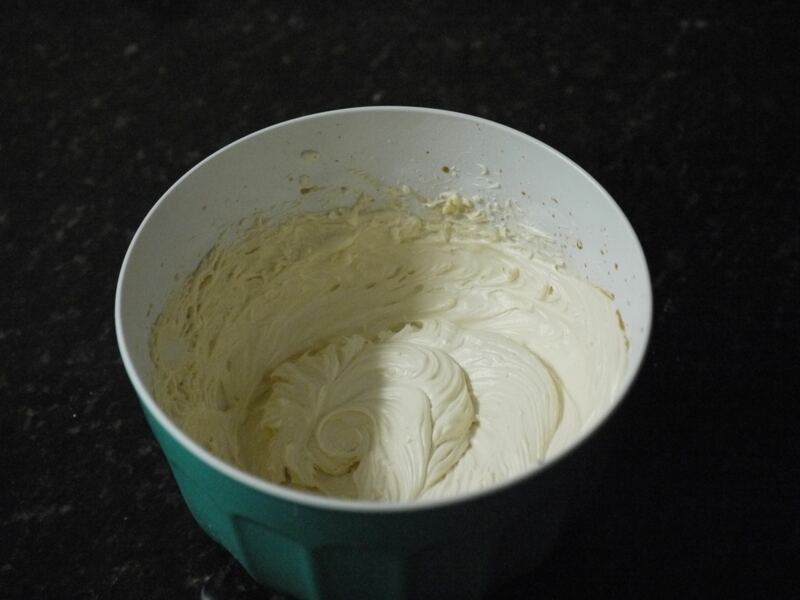 Pour the mixture in to the pans, previously greased and floured. Bake for an hour and to make sure that the cake is already done, introduce a wood stick in to it and it has to come out dry and clean. 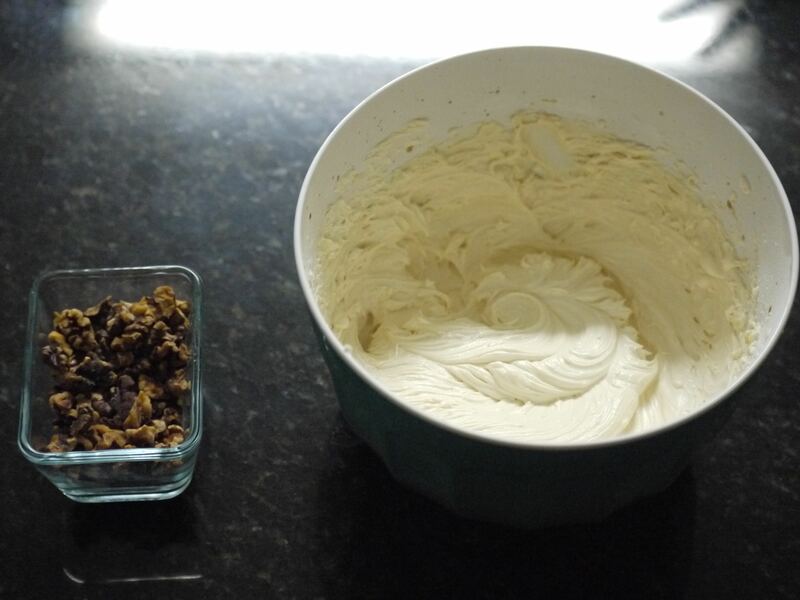 8 onzas de queso crema Philadelphia/ 8 ounces ofPhiladelphia’s Cream Cheese. Butter stick has to be out of the refrigerator for a while. 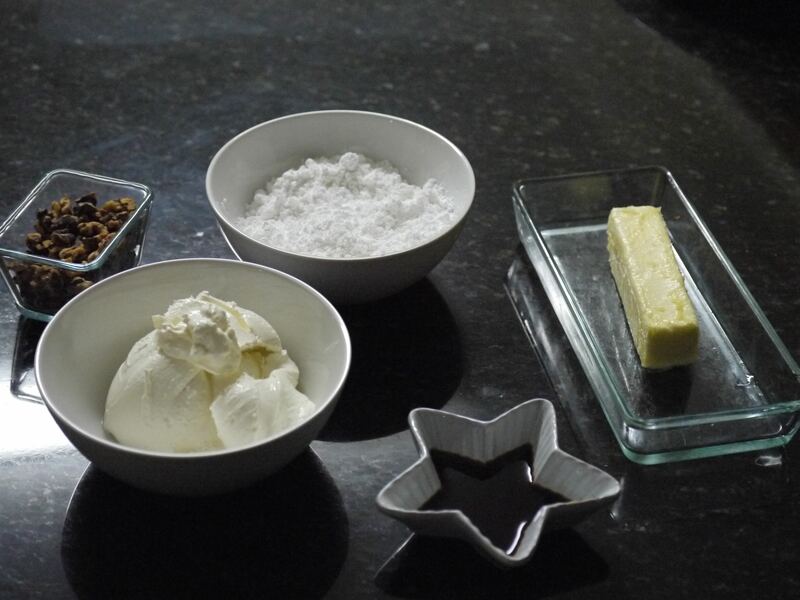 Blend the butter until it gets creamy, add cream cheese, icing sugar and vanilla until get a soft mixture. 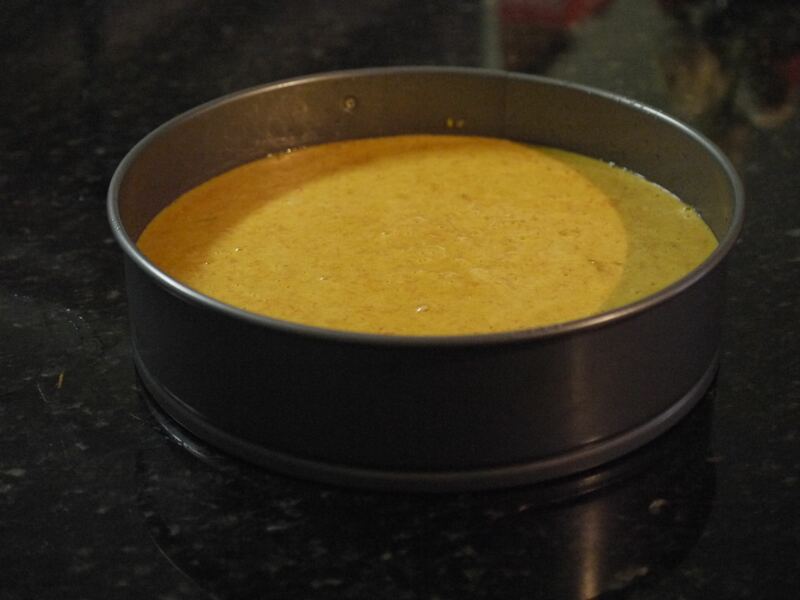 Take out te cake from the oven and let it cool down. 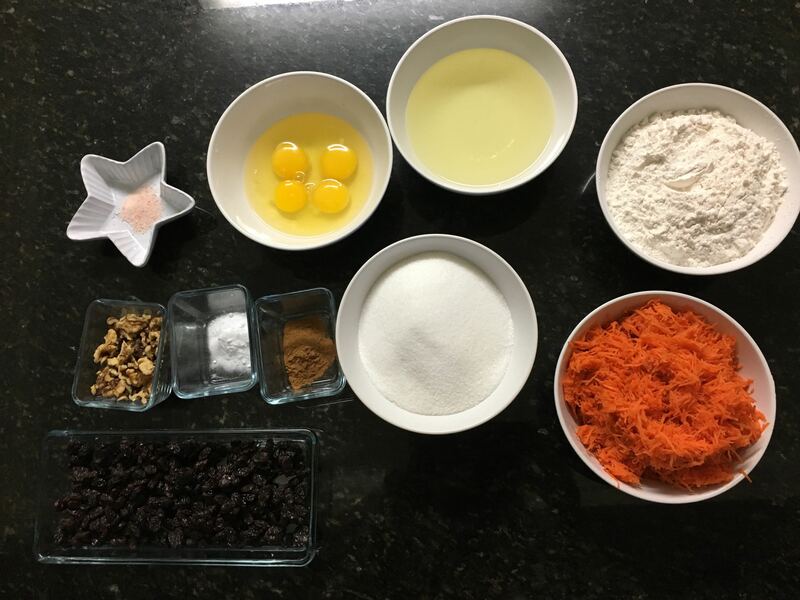 Then spread the mixture over the cake cover it completely and sprinkle with pecans over the cake and Voila the Carrot pie is ready to eat…..
Hope you like it and try to do it. I want to thank for her great collaboration of my mother in the making of this post, without you it wouldn’t be possible…. Contadme sois de preparar dulces en casa o preferis comprarlos hechos? 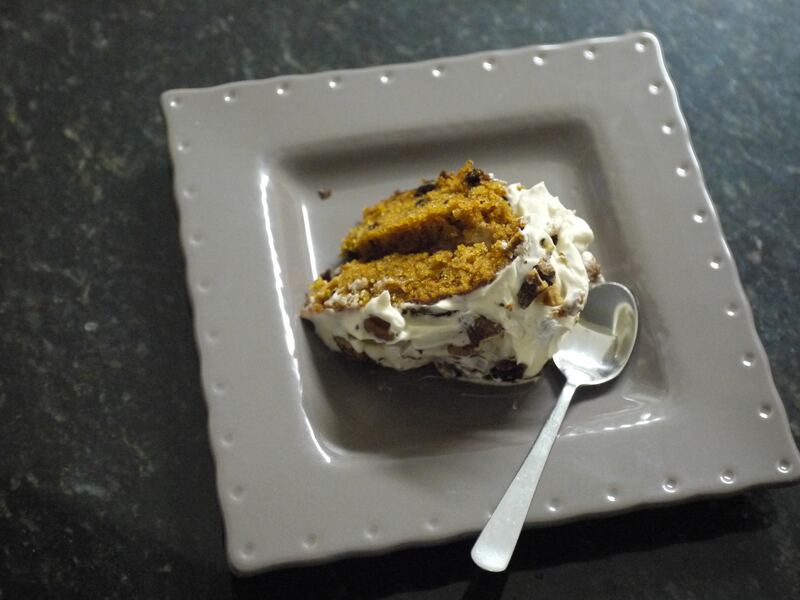 Do you like to prepare dessert at home or you rather buy them? Si os ha gustado compartidlo que es gratis y no olvidéis suscribiros a nuestra newsletter. If you like this post share with your friends, remember is for free and don’t forget to subscribe to our newsletter. Omg me consta que es una deliciciaaaaaaaaa. Dulce sin ser empalagoso. Que buena idea compartir la receta!!!!!! Cierto que estuviste entre las privilegiadas que la probamos cuando la hizo por primera vez aquí en Miami…. Es una delicia , suave y esponjosa…. 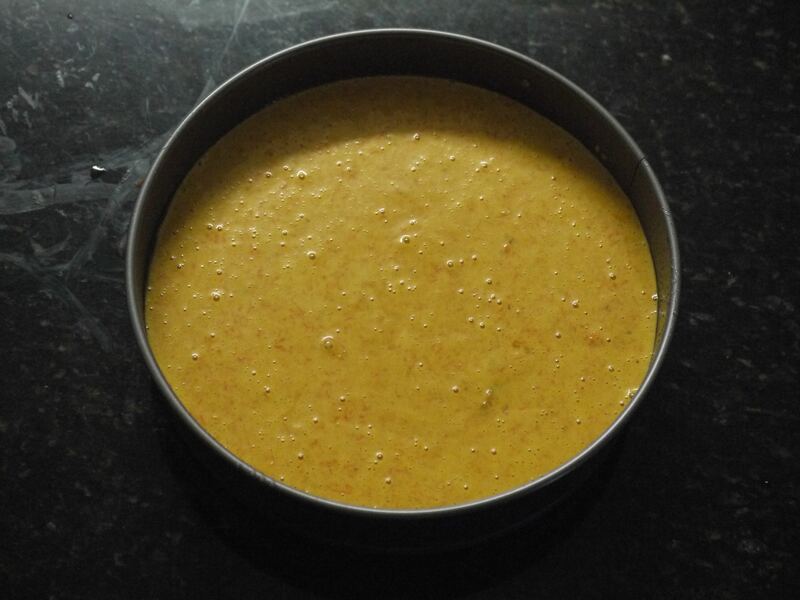 Great cake, with an exquisite flavor….. Previous PostPrevious Red lips are always the key to make your outfit perfect……. Next PostNext One set, two outfits…….